Owing to the way Fareham has grown (the focus was to the south, but with High Street being the key road in the northern section) a noticeable gap in the development was left behind the houses in West Street which had been used for allotments, and served by Church Path, a shortcut up to the back of the church with four properties to its name: Manor Cottage, Manor House, Manor Lodge and Manor Croft, which all replaced a single property in the late 19th century. In the 1970s, amid rapid redevelopment across the county, Fareham decided that a town of its size should embark on a comprehensive modernisation scheme to make its town centre more exciting. As well as redesigning some of the buildings in West Street, the majority of this scheme involved 'filling the gap' with new facilities. The Civic Offices were one of these. Now the main feature of Fareham's skyline, it is a ten-storey (138ft, 42m) open-plan office building which opened in 1975, replacing a series of building of varying quality (from Westbury Manor to portacabins) in which the council departments worked. The offices formed the main feature of the newly-named Civic Way, a partial upgrade of Church Path and another old footpath which came out on the High Street. At the same time, the new library and surrounding gardens opened. 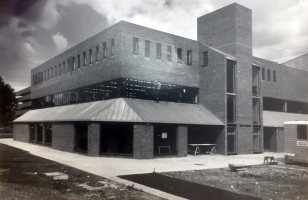 This date coincided with Fareham becoming a borough in 1974, and while the facilities were helpful for this new role, it was the plans for them and this area that helped give Fareham the prominence it needed to achieve borough status (previous efforts had failed). Everything we associate with Fareham town centre: the health centre, the shopping centre, and of course the civic offices, was a product of the 1970s. 40 years on and the architecture could have been better. Fareham will always be a '70s town. Tap these photos to enlarge them. The first sign of change came in the mid-1960s, when the car park at the top of the road opened. It was accessed directly from Osborn Road and had a driveway leading down to a second car park, roughly where the multi-storey is now. 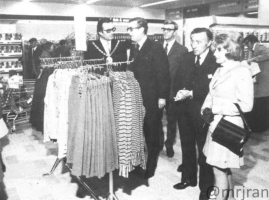 The other major project which dissected Church Path was the opening of Fareham Shopping Centre. 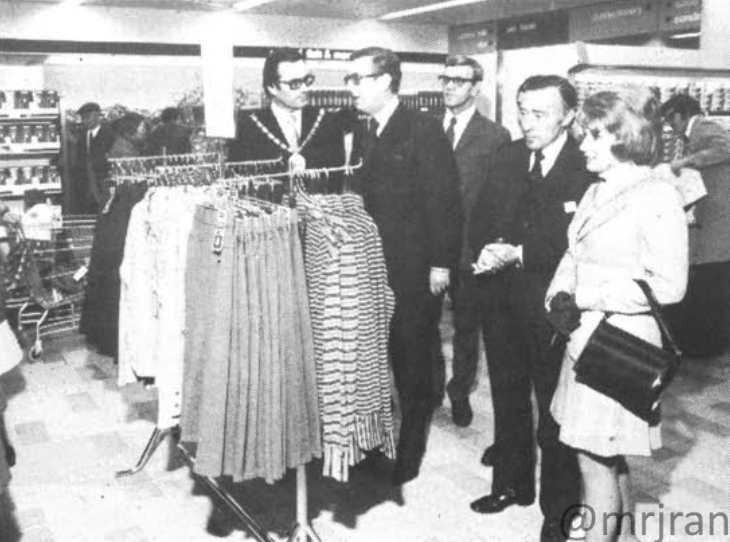 The first phase opened in 1975 and brought anchor stores such as Sainsbury's and Marks & Spencer to the town. 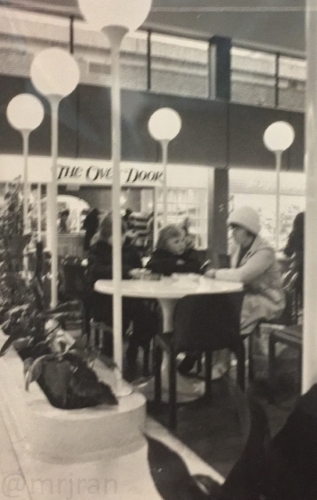 It was the first indoor shopping centre to open on the south coast and for this reason attracted considerable crowds from far afield, in fact, the idea of a covered shopping area was a novelty and a real boost for the town. In 1981 an eastern extension (anchored by BHS) was built. 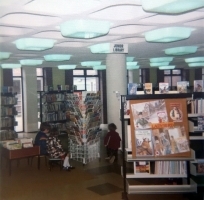 The shopping centre was built over the Fyling Angels Seafarers Club, library and dentist. It's thought space was left for a new cinema in West Passage, but this never opened. 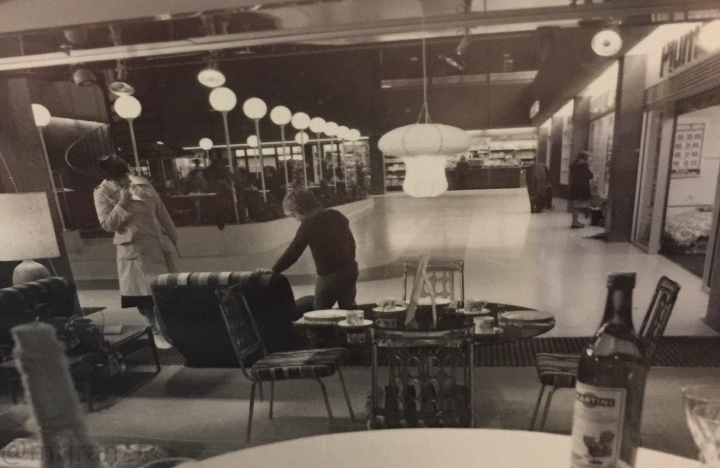 Other lost names from its opening were Mothercare, Gamley's, Garden Restaurant, The Sovereign pub, The Oven Door, Clarence Shoes, Volume One, Plumbs and Peter Lord. 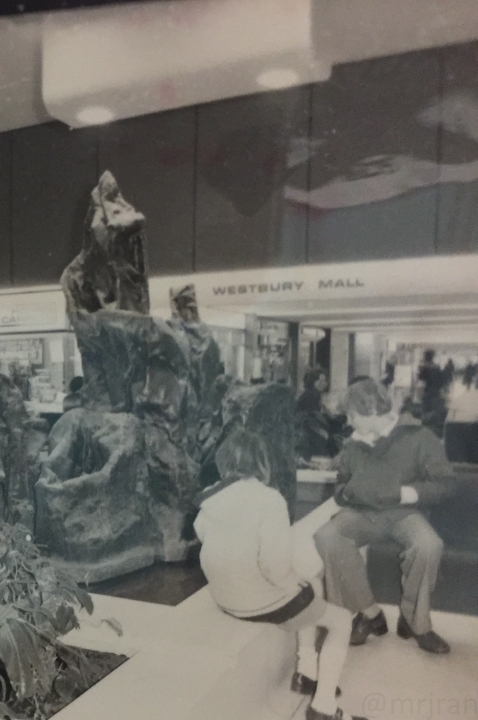 In Westbury Mall was the fondly remembered Subway record store, which later became Venus. Next to it was Café Fortes. 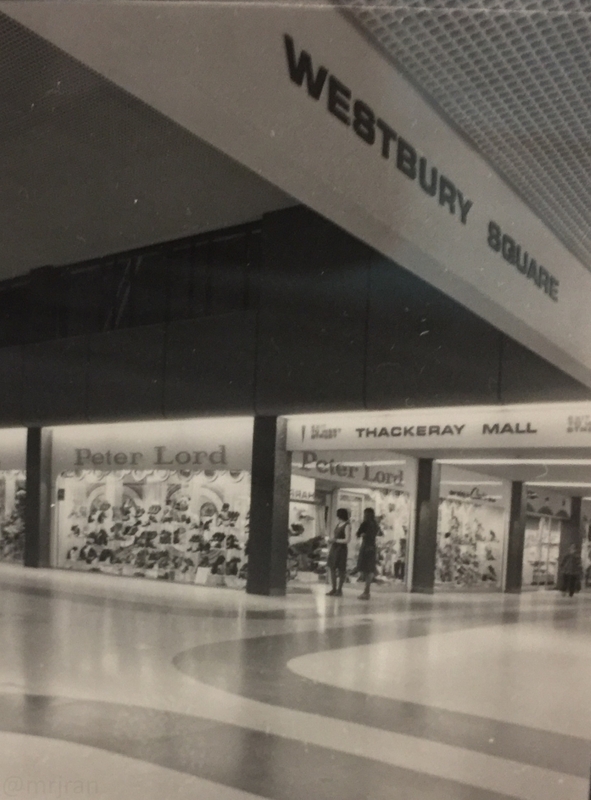 Eventually, as every neighbouring town began to gain its own equivalent the novelty war off, and Fareham Shopping Centre became a draw from the traditional shopping areas such as Trinity Street. As rival town centres upped their game Fareham began to look dark and gloomy in comparison, and a programme of refurbishment began in the late 1990s which saw the cream and orange colour scheme replaced with blue and green. By the late 2000s a number of stores had moved out, and in 2011 the struggling eastern end was refurbished and eventually gained a flagship Debenhams store. 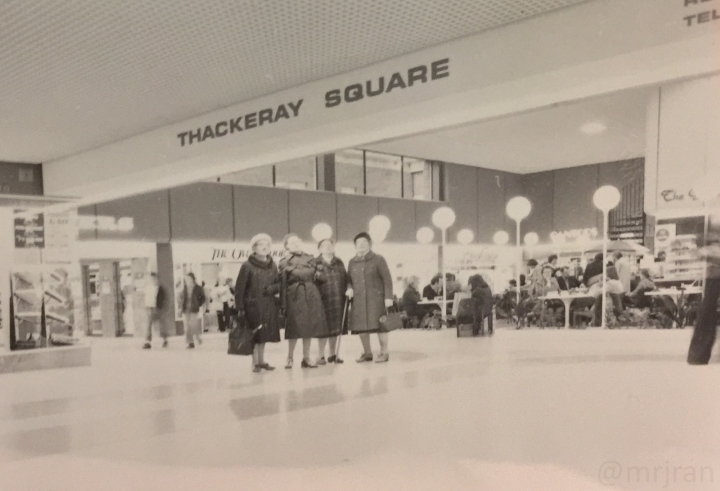 Thackeray Square had an upstairs section. When the toilets by the car park were re-built in 2002, an area with another flight of stairs was left partitioned off "just in case it's ever needed". This suggests there has always been an aspiration that the upstairs could be brought into public use. 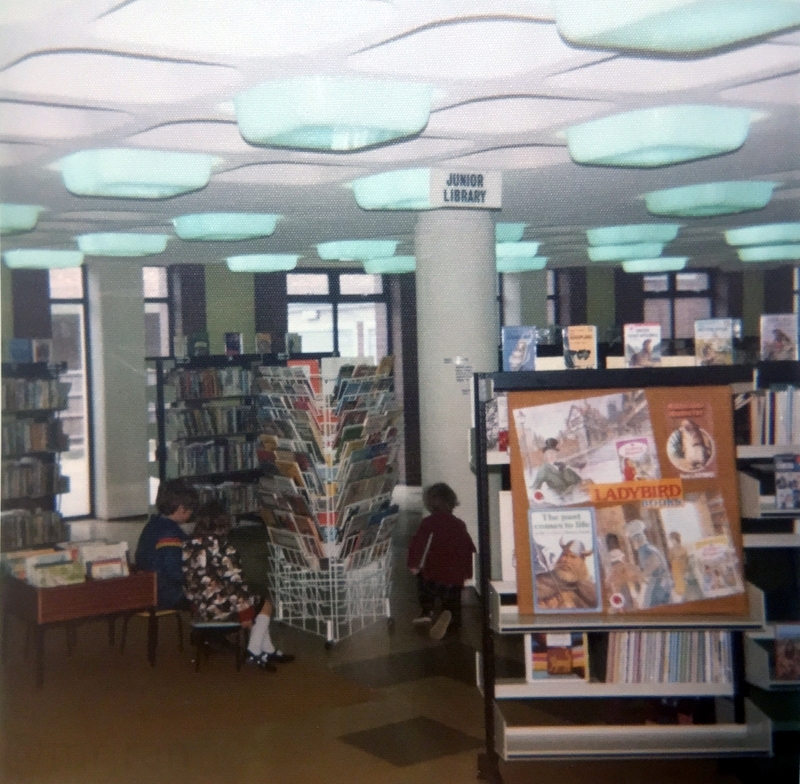 The following photos were taken in 1979 by Southern Electric as part of a project they were involved with, probably connected to the extension which opened two years later. 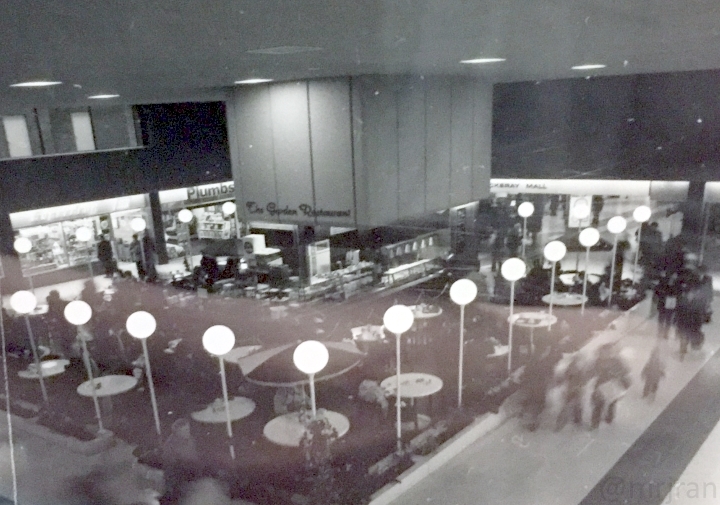 They show the shopping centre looking darker than it does now and with several busy restaurants. Tap on them to view the full photo. 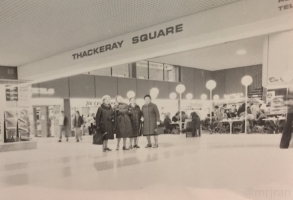 People in Thackeray Square (near the library). I believe what's now Waterstones is on the left. Note the spiral stairs. The Garden Restaurant, looking down Thackeray Mall. What's now Waterstones is straight ahead. Looking up from Westbury Square (the centre). I believe that's now H Samuel. 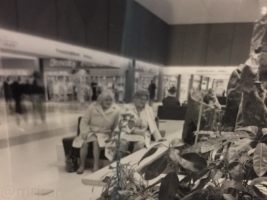 People resting by Westbury Mall (now BB's - what was Game is back-left). Shoppers by the fountain in Westbury Square.